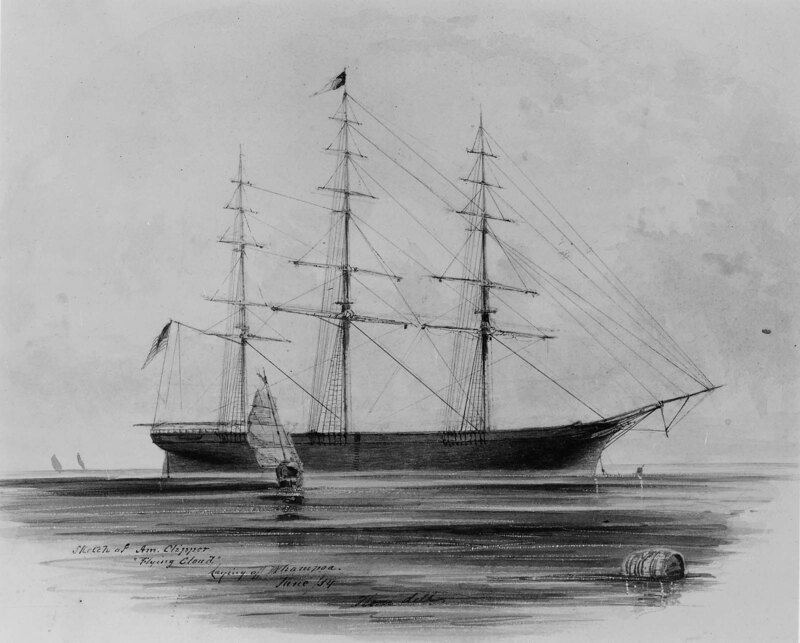 Three masted ship, starboard side, with an American flag flying off its stern. Small single massed sailboat before it, and a barrel floating in the water in the foreground. Inscribed in pen and ink lower left: Sketch of Am. Clipper / "Flying Cloud" / Laying off Whampoa. / June /54; lower center: Kern delt.